Today, digital transformation means innovating the selling process to better address the needs of empowered buyers through investments in modern, customer-facing technologies. This report, based on a survey of 229 B2B decision makers, shows how leading businesses plan to spend their respective IT budgets, and which technologies they believe hold potential for the most ROI. As leading B2B businesses embrace customer-first digital transformation, there's no time to waste. 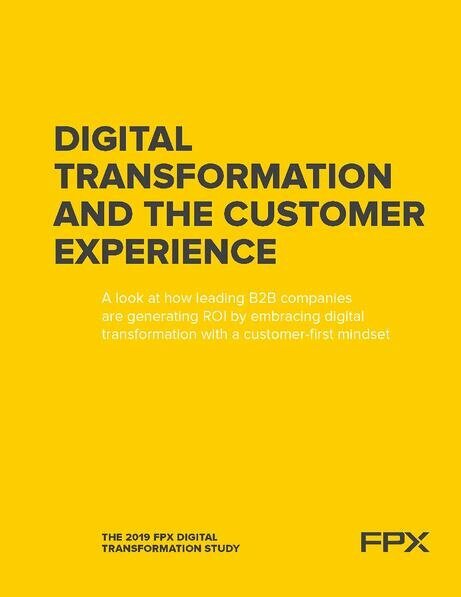 Download "Digital Transformation and the Customer Experience" today.